The 10th Assistance Dog Blog Carnival — Perfect! Welcome to the Tenth Assistance Dog Blog Carnival! I’m pleased that many of the bloggers who contributed to the first #ADBC, hosted by me in October 2010, have returned, and some new bloggers have also swelled our ranks. In honor of this being the tenth carnival, I chose the theme of “Perfect 10.” Participants could write about “ten” or “perfect” or both. I’m delighted with how this issue came together. Thirteen bloggers have contributed pieces — some of them have become my new favorite assistance dog posts! Plus, because some posts were accompanied by terrific pictures, for the first time, I’m including a few pictures from some of the posts. You are in for a treat! These bloggers are all about the tens. Some looked at the last ten weeks or ten months; others made “top ten” lists, which are a lot of fun. It seems as if top ten lists naturally lend themselves to humor and celebration. I might be feeling depressed and then it’s time for Jayden’s afternoon Kong Wobbler treat. I’ve taken to pronouncing “wobbler” so it sounds very French and you can’t stay in a bad mood when you’re asking your dog if he wants his Wobbler in a high pitched silly French accent. Our only choice was to enter by the stage. 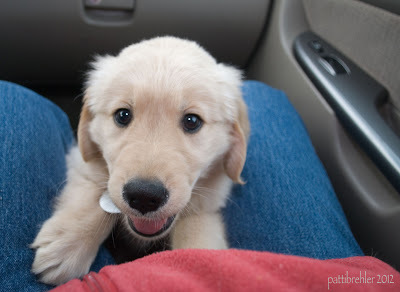 As I coaxed my golden fur ball past the front row seats a harmonic “awwwww” rolled out ahead of us. The “awwwwws” resonated to the back of the room like a wave…. Sometimes I think my girl almost forgets to feed me, so I have to wake her up at o’dark-thirty – by poking her face repeatedly with my nose – to remind her that it will be time for my breakfast in only four more hours! With each dog, I learn something new. This time, I think it is if one method doesn’t work, try something else till she understands. I don’t expect her to be perfect, but I’ll be happy when she is very good and happily lying on the carpet or tile in and out of harness. At her blog, Shai Ezer-Helper Beside Me: Training My Service Dog, khills wrote a long post chronicling Ten Terrific Training Months with their cherished trainer, Stacey. 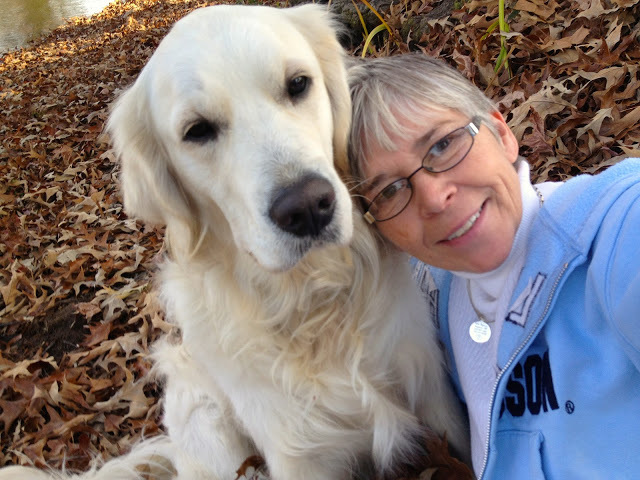 khills’s post contains many photos and videos (no descriptions or transcripts as far as I know) of her service dog, Shai (often accompanied by other Golden Retrievers) tackling an elevator phobia and a serious distraction problem with other dogs. Among their many adventures is a class with Victoria Stillwell! When my sister & brother called to arrange a Mother’s Day dinner, I was able to look forward to a big gathering instead of worrying that Shai would not perform well in a big crowd. He rode for 5 hours in the car, then we went directly into the restaurant. He was perfect. Everyone talked about how well trained he was. The posts in this section acknowledge that no person or assistance dog is perfect. These bloggers defy perceptions and judgments by the public, other assistance dog partners, or their own inner voices to celebrate their dogs and their partnerships. Some simply accept imperfection as a reality of life, while others celebrate certain imperfections as bonuses. I’ll let you in a little secret: whatever you’ve heard from other guide dog users about their dog never needing a correction is totally and completely a lie. I used to be almost ashamed of my skills as a handler and disappointed in my guide dog because I heard this so many times before training, during training and even after training. Most people who are trying to take this road *are* trying to do this right. Being told that you have to look and be perfect 100% of the time is not okay. Nobody is perfect, and that’s what makes us human. That’s what makes our dogs, dogs. Its okay to be imperfect. We disqualified on a Companion Dog (novice obedience) run because I was exhausted, and he broke heel to come around to my right side, my weak side. He wouldn’t sit on the halts because I was a little off kilter and he’s trained to stand and brace…. Duncan was a service dog. He’d been perfectly behaved for what I needed, not what I wanted, and I’d basically had a tantrum that we “failed” in front of a judge. As I mentioned in my last ADBC post, it took me a while to figure out why my dog would sometimes throw himself in front of my footplates–to prevent someone from bumping into me hard, to draw my attention to the kind of men who frighten me… So what can initially look like a lack of perfection can be the purest of perfection–finding a need and fulfilling it, even when directed to do otherwise. It just does not appear that way to others. And I’m okay with that. The last three posts look back on assistance dogs who made a profound impact on their handler’s life. Even though (or perhaps because) each dog came with some difficult issues, these dogs were, in certain ways, perfect for their partners. When I got my first assistance dog, I admit to have watched far too many “Guide Dog Movies®” and read just as many “Guide Dog Books®” I had partaken of the “Guide Dog Program Koolade®” with gusto, and expected perfection! Instead, I got Rhoda — a crazy, hyper, and very unfocused dog who had been damaged emotionally by her time in the guide dog training kennel. He taught me to love life in spite of the severe progressive nature my disabilities would take on. Most envision service dogs from a limited skill perspective. Either they are hearing dogs or guide dogs or mobility service skilled dogs or psychiatric dogs. I never in my wildest dreams could have imagined a dog doing as much for me as Met and I learned to do together over our decade long partnership. My post was written in November, 2011, two years after my service dog, Gadget, died, and I only came across it now. In the pensive mood that hindsight and a new working partner brings, I pondered the question, Two Years Later: Was Gadget the Perfect Service Dog? Thank You, Readers and Bloggers! Thank you so much to the bloggers who made this such a fantastic carnival, and thank YOU, our readers, for whom we write. I hope you will share the link to this post on your blogs or social media so that others can enjoy this splendid collection of posts. And as you make the rounds (at your convenience), consider leaving some comment love at the posts that speak to you. Plus, bloggers, the raffle results are in. You may already be a winner! No, really — find out who takes the prize! Lastly, the next #ADBC will be hosted by Frida Writes in April 2013. The schedule and other #ADBC details are at the Carnival home page. I am thrilled to be hosting the TENTH Assistance Dog Blog Carnival (#ADBC)! The myth of the perfect assistance dog can be a burden. Did you expect your first canine assistant to be perfect and have an “Oops” moment? Or do you find that others are shocked when your dog is, well, a dog? Conversely, has your current or a past assistance dog been perfect for you? Was there a perfect day or a perfect moment? A way in which the two of you fit together that you could never have imagined? Is there an arena of your partnership or other doggy life where you are striving for perfection or where you achieved some recognition of perfection? For people who have pet dogs or train pet dogs, are there “nuggets of perfection” you have gleaned from assistance dog trainers or handlers that inspired you to do things differently with your own dog(s)? There are so many things you can do with ten! A top ten list of . . . 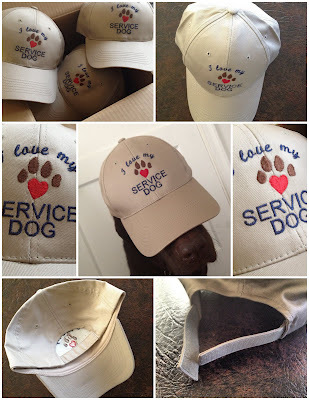 Things you love about your service dog. Reasons you got a service dog. Best days with your dog. Ten worst moments. Ten funniest moments. Ten things you hate that people do about your assistance dog. Anniversaries. . . Ten years ago. Your first ten months of training. Your dog’s tenth birthday. Your tenth day as partners. Or anything else I’m not thinking of on the theme of Perfect 10! Anyone can submit a post — as long as it’s pertinent to the theme. You do not have to be an assistance dog partner or puppy raiser or trainer, etc. You just have to write something relating to the theme of “Perfect 10” as it pertains to assistance dogs. The deadline for submissions is Monday, January 28 at 11:59PM (of whatever time zone you’re in). If you are writing or want to write a post and haven’t made the deadline, please contact me. I’d like as many people as possible to join this Carnival #10! I plan to post the Carnival on Thursday, January 31. To submit your post, please comment below with your name (as you’d like it to appear), the name of your blog, the name of your post, and the URL for your post. OR, if you prefer, tweet me the same info at @aftergadget. If you have anything flashing or moving on your blog or post (snow falling, gifs that move, graemlins, etc. ), or music that automatically plays when someone enters your blog, we request that you turn off those features until two weeks after the carnival goes live, OR please include a head’s up that you have this feature in your entry below. The reason for this is that moving imagines or music can make text difficult or impossible for some to read and can also trigger migraines (both of which are true for me). A more serious concern for me is that for some readers and contributors to the carnival, these features can cause seizures if they visit your site. By providing me and other readers with this information ahead of time, we can make informed decisions in taking care of our health and safety about whether or not to visit your blog. Thank you for your consideration. Making your posts as accessible as possible to readers with a wide range of disabilities will be greatly appreciated by me and other participants. Access supports inclusion in our community, which is a value I hold dear. Examples of ways to make your blog more accessible include providing a description of visual images or a transcript of videos and turning off Captcha (word verification) for comments, and making link text relevant. Here are five easy steps to making your blog more accessible. For further info, I’ve compiled a “cheat sheet” on disability-friendly blogging. If you’re so inclined, I enjoy having the ADBC badge (shown at the top of this post) on carnival posts. I want this Carnival to be special, so I’m doing a raffle and giveaway. Everyone who submits a post for the Carnival will be entered. This is just to CELEBRATE our community of assistance dog partners and our allies — just for FUN! No good cause. No fundraiser. No goals or charity — Just. For. Fun! LifeKind Naturally Safer Personal Care Travel Kit (Unscented). 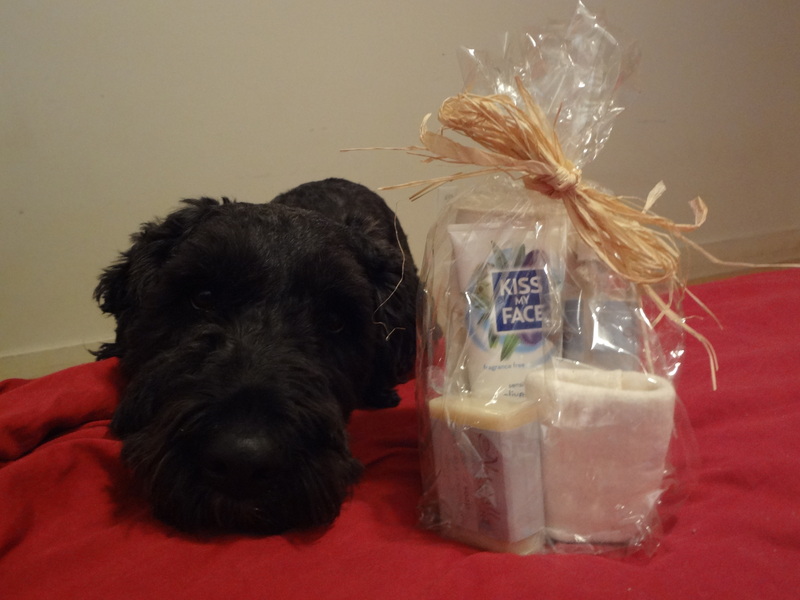 Includes fragrance-free and nontoxic shampoo, conditioner, deodorant, liquid soap, and bar soap. 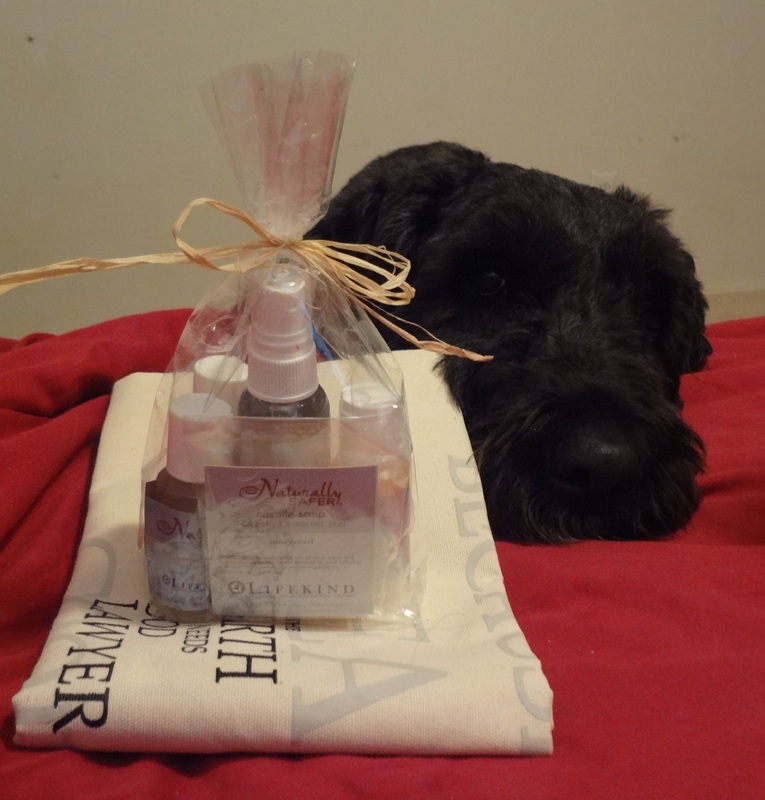 Naturally Safer & Fragrance-Free Body Care Bag. Includes deodorant spray, an organic cotton spa cloth, a bar of castile soap, and some as-yet-to-be-determined lotions, packaged in an organic cotton reusable lunch bag. A pair of Bark’n Boots – generously donated by Cyndy Otty of Gentle Wit. (Pictures and details on the RuffWear website). 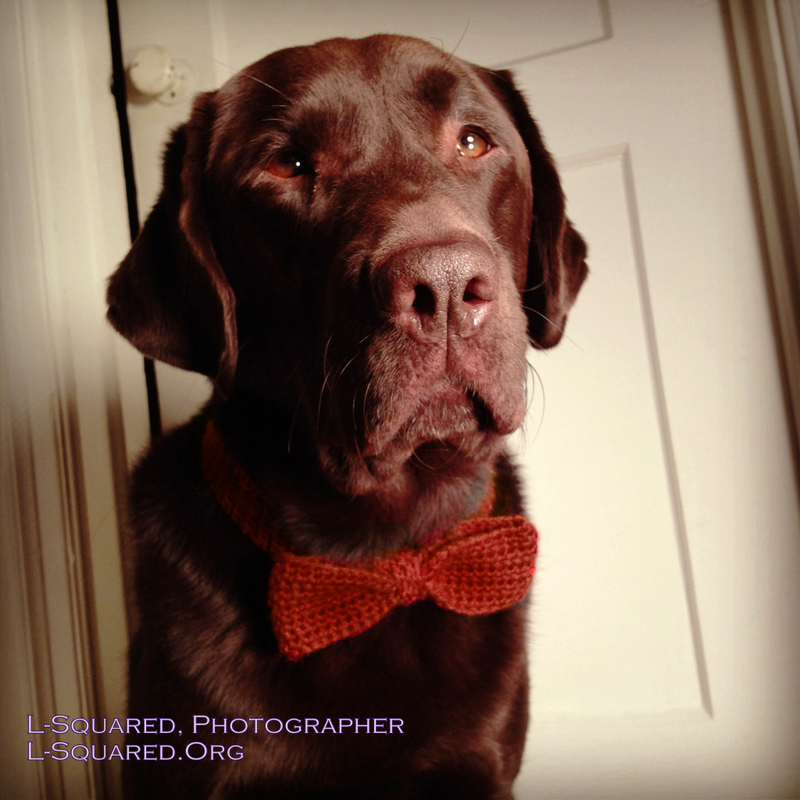 A dog bow tie, generously donated (and crocheted) by L-Squared. In the size and color of your choice! I’m hoping to collect more giveaways by the publication date of the Carnival. If you have an item you’d be willing for me to raffle, please get in touch! I would love to have a variety of goodies — little things that will be fun to receive; they don’t need to have monetary value. 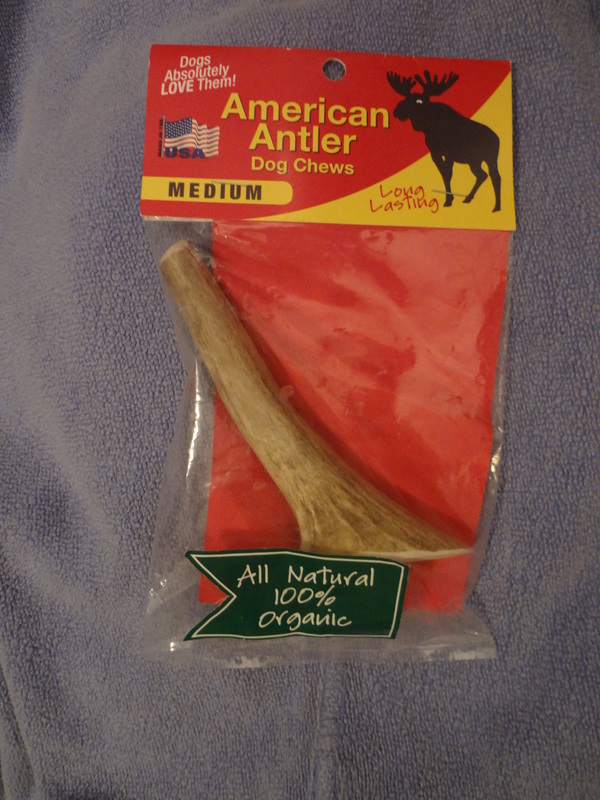 I’ll post new items, with links and info to the donor’s site (if relevant), here and on the After Gadget Facebook page and on Twitter as they come in. (So, if you have a business, I’ll happily plug your stuff!) If you have something to offer, please email me or Tweet me or message me on Facebook! The more who get involved, the more fun it will be (I hope!). Update on raffle: See swag post! So, get those wheels a-turnin’. 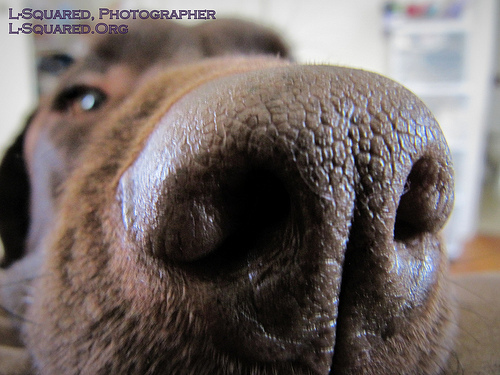 What do you want to share with the world on the theme of assistance dogs and “Perfect 10”? I look forward to your posts! Also, if you are willing to share this post on Facebook, Twitter, your blog, other social media, and anywhere else, I would so much appreciate it! I love my internet assistance dog community which the ADBC has helped foster. I would love as many people was possible to be part of this celebration!